Our video this year highlights the importance of learning from each other’s experiences through sharing stories. Fornebu Lumber’s safety and training co-ordinator Christian Fournier describes an incident where two fires were both ignited and safely put out in one day. “We were very lucky that our staff acted very quickly and safely in order to contain the fire from spreading,” Fournier said. Fournier said he chose to share this experience with others, including Fornebu Lumber’s corrective actions following the incident, to prevent this type of situation from occurring elsewhere. You can also find more details about the incident in Fournier’s article published this week. Among our other main stories, you can also read about preventing a dust collector inlet explosion by regular CFI contributor and dust mitigation expert John Bachynski. Fike’s Jef Snoeys, Jeff Mycroft, and Dave Buchanan outline concerns that arise from dust created during the processing of wood biomass, and best practices in the industry to mitigate those concerns. And don’t miss the six questions to ask when choosing a dust collection system contractor by the VETS Group’s Erin Rayner. 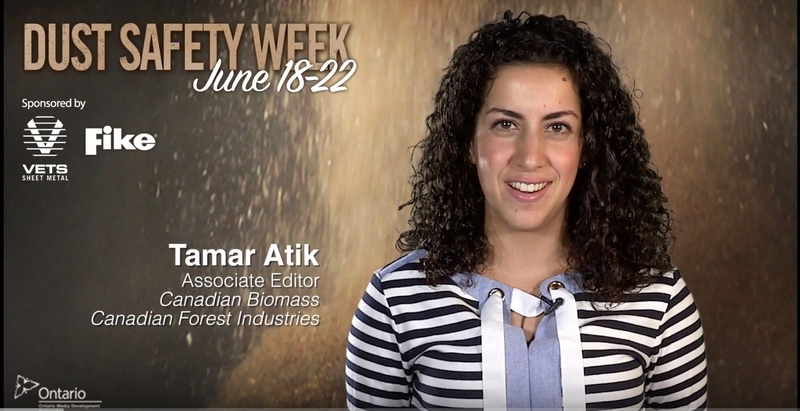 Find those stories and much more from our archives on the Dust Safety Week 2018 landing page, which will continue to be a hub for the industry to learn best practices and find the latest information on dust safety and mitigation. Content on our landing page will be hosted there for the next year for readers to reference.